Last night I had the pleasure of performing at Vineyard Arts, which is a lovely biweekly arts group taking place in a church space in Partick. That evening—a very rainy one, even for Glasgow—the attendance was fairly low, and the folks who showed up were mostly fellow spoken word artists. I realised that most of the pieces in the spoken word set I’d prepared would be familiar to most of the folks in the room, so I decided to scrap it and instead read from my collection, Homing. It was a surprisingly lovely experience: I almost never read publicly from Homing, since most of the time I’m booked as a spoken word artist and expected to perform off-book. Th experience of sharing poems from the book reminded me of the experience of putting Homing together last spring—it’s hard to believe it’s been out for nearly a year! The whole process, from the initial idea to drafting to printing to selling the books, was such a whirlwind journey in which I learned a huge deal about the process of funding, compiling, publishing, and marketing a poetry collection. So, here I reflect on that process and on some of the realisations it gave me about my own work and creative practice. Cover photography & design: Perry Jonsson Art. I had several motivations for publishing Homing. The first was a strong pull towards writing about and releasing a collection on the theme of home: how we define home (and are defined by it), what happens when we shift away from it, how we develop new homes through travel, love, and change. The second was a recognition that I already had several poems on this theme that I thought might work together well in a collection. And the third, more practically, was a desire to release some of my work in print. Since I now work primarily as a spoken word artist, I tend to mostly perform the same spoken word poems at live events. However, I do also write for the page, and I thought it’d be nice to have a print collection as an outlet for some of this material. Also—brutal capitalist honesty here—as a spoken word artist, you’re unlikely to make much income from your art if you don’t have any books or CDs to sell following performances, so I’d be remiss if I didn’t admit that there was a financial incentive to publish. As I began to comb through my existing body of work to select poems for Homing, I was surprised and a bit dismayed to find so many recurring images and themes popping up—look, there’s another poem about the ocean, and motherhood, and oh hey, another poem ending with the word home! It definitely made me cognisant of the clichés and motifs I perhaps rely on too much in my writing. But in terms of crafting a collection, it was helpful to have and to be conscious of these pre-existing images and themes running through my work so that I could tease them out as threads tying together the collection. I became increasingly aware not only of the images I tend to use, but of narratives I tend to revert to. I realised that I tend to write from the perspective of solitary women of varying ages, often identified primarily through their relationships as mothers, daughters, or wives/partners. So much of this collection concerns intergenerational relationships between women, most heavily mother to daughter (and vice versa). This wasn’t initially an intentional theme of the collection but one that arose naturally from my tendencies while writing. When drawing together the poems for the collection, I decided it was more important to me that the poems be linked thematically than it was that they were linked stylistically. I ended up including poems from a wide range of styles—some short and terse, others longer with a more conversational tone, some surreal and imagery-heavy and other more realistic and focused. I chose pieces from a wide period of time—one was written roughly nine years ago, several others written expressly for the collection—so they reflect a number of different phases in my writing. I had to decide early on whether or not to include poems in the spoken word style; since this is a printed collection, I was initially apprehensive about including these longer, more narrative-based pieces alongside tighter, shorter poems designed specifically for the page. Also (as I’ve written about here before) I wasn’t sure whether it would be appropriate to publish these spoken word piece in print, since I had initially designed them for performance. However, I ultimately determined that as long as the book was cohesive in terms of theme, motif, and narrative arc, varying up the styles wouldn’t be too jarring to the reader. I also played a lot with the formatting of the spoken word texts to try to convey how they might be performed, including associating line breaks with breaths and using text formatting to include dynamic shifts. As I started to piece Homing together, I wasn’t sure how to organise the collection: chronologically by date written? thematically? by genre/style? But then a sort of narrative began to form itself, more organically than I’d expected. The poems in the pamphlet are not organised chronologically by the date they were written, but arranged by the phases of life they refer to: they trace the narrative of childhood, adolescence, and travels into adulthood. They begin at home—autobiographically, in my childhood home in Pennsylvania—then roughly chart the experiences of growing up, moving out, and travelling, with sections focusing specifically on these senses of loss and re-growth in the contexts of family and love. The collection concludes with three poems set in Scotland (my current home), and ends on what I hope comes across as an optimistic note, finding comfort in the co-existence of multiple spaces I call home. One decision I made early in the process which I wrestled over a bit was to mix memoir with fiction in the collection. Not all of the poems in the collection are autobiographical: some that may appear factual are fictional, and vice versa. There are poems in the collection that are a step outside of the general growing-up narrative arc, for instance when the perspective shifts to that of a woman leaving a marriage or a mother watching her daughter succumb to illness. Although this may feel like artifice to some readers, it was an intentional blurring of reality: I wanted the collection not to feel like a factual autobiography but rather a journey through several senses of home and experiences of longing for a home. I also wanted to complicate the assumption I often perceive in the spoken word community that all of our first-person narratives are autobiographically accurate by lacing the collection with fiction, and thus making the reader question which personas were ‘real’ and which were assumed. Although at the start of the compilation process I assumed I’d end up including all of my recent spoken word poems in the book, I ended up only using four of them, meaning that the majority of the book consists of poems I virtually never perform. I decided that thematic cohesion was more important than including all of my recent material, and I’m now grateful for that choice since I think the book hangs together much better for it. I also ended up writing about five new poems for the collection. These were pieces that came both from a desire to fill in areas of the narrative that I was tracing, but also ones that arose organically when I began the artistic endeavour of thinking and drafting intensively about the concept of home. Although to this point I’ve been speaking just in terms of my own process, publishing Homing was a true team effort. Like virtually every endeavour in the artistic world (as I’ve realised), self-publishing a pamphlet is an inherently collaborative endeavour. Most obviously, I could not have self-published without the financial resources made available to me through the up-front support of my Kickstarter backers (thank you all so much!!). But beyond the financial resources, the pamphlet was also the result of creative collaborations: collaborations with Perry Jonsson, the photographer who shot and designed the front cover and gave advice on the interior formatting, with fellow poets who read the manuscript and gave their advice, and with the publishing company (Inky Little Fingers – I’d highly recommend them) that guided me through the layout and printing process. And of course, post-publication, the volunteers staffing merch tables at poetry shows who help to sell the books! So this experience reinforced for me that art is never made and distributed in a vacuum, despite the stereotype of the lone wolf artist. Thanks very much to everyone who helping me make Homing a reality! Poets who’ve (self-)published collections: How did your creative process work? Did you begin with a strong theme and write all new material for it, or work backwards to find poems that worked well together? 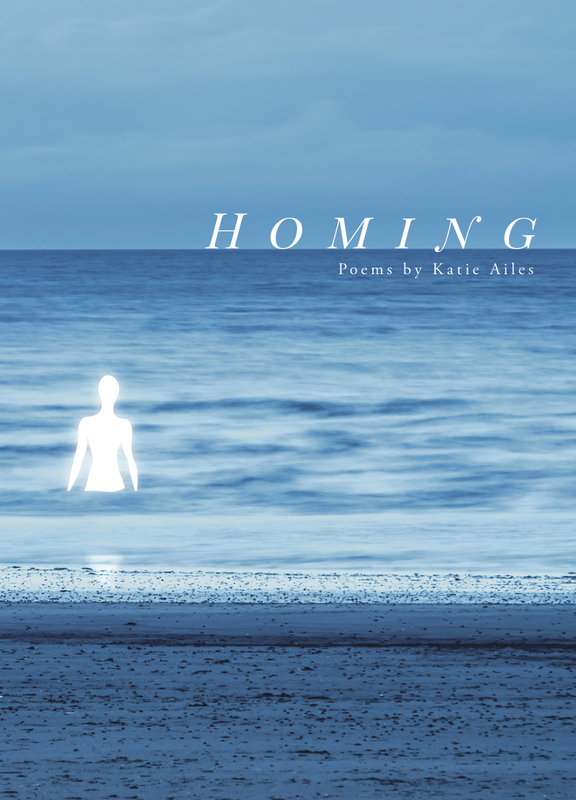 Obligatory plug: If you’re interested in purchasing a copy of Homing, they’re available for £5 at all Loud Poets shows, or you can order a copy online through the Loud Poets Etsy store. Cheers!